In December 1974, the former Beatle Paul McCartney approached Asimov and asked him if he could write the screenplay for a science-fiction movie musical. McCartney had a vague idea for the plot and a small scrap of dialogue; he wished to make a film about a rock band whose members discover they are being impersonated by a group of extraterrestrials. The band and their imposters would likely be played by McCartney's group Wings, then at the height of their career. Intrigued by the idea, although he was not generally a fan of rock music, Asimov quickly produced a "treatment" or brief outline of the story. 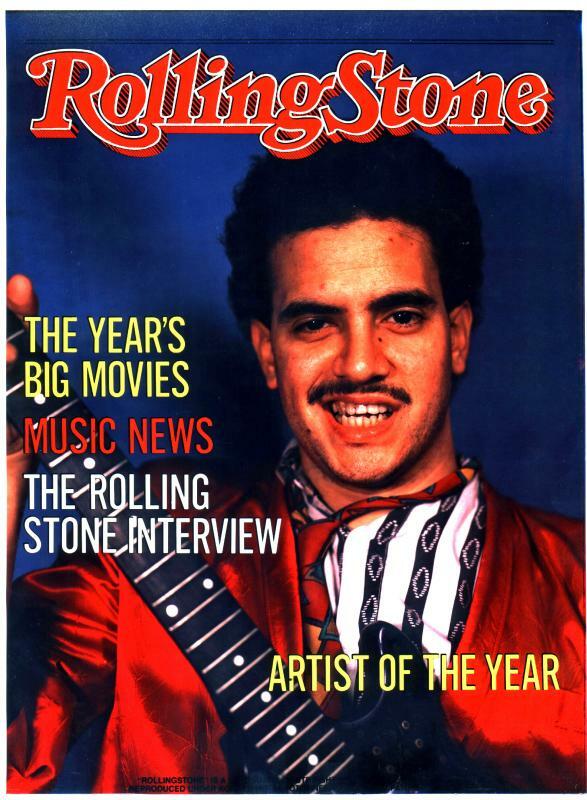 He adhered to McCartney's overall idea, producing a story he felt to be moving and dramatic. However, he did not make use of McCartney's brief scrap of dialogue, and probably in consequence, McCartney rejected the story. The treatment now exists only in Boston University's archives. Not long afterwards he was trying to get Gene Roddenbury interested in a 'Star Trek' type storyline but that idea faded away too. There's info there about the Asimov project and more info about the Sci Fi project Paul wanted to do with Gene Roddenberry. Paul asked Gene Roddenberry to develop his ideas into a script after he rejected Isaac Asimov's story. As far as the story Isaac Asimov developed for Paul & Wings, it was called "Five and Five and One"
Asimov’s story featured parasitic aliens who crashed on Earth and had an urgent need to find suitable hosts to invade. His story had them trying lizards, cattle, before settling on humans were a better choice. Once they heared music for the first time, the Alien-Human transformed to eagles so they could fly all across and discover the right musicians to inhabit.... Turns out that McCartney hated the idea and rejected it. Turns out that Sir Paul was disappointed that Asimov hadn’t used any of the dialogue the famous Beatle had already written. Asimov, for his part, thought that McCartney couldn’t recognize “good stuff” when he saw it. Question: Is that a movie you would have wanted to see? As a side note, Paul was also offered the leading roles in "Romeo and Juliet" (1968, as Romeo of course! ), and "Brother Sun and Sister Moon". The Beatles also were developing a project where they would play the 4 main characters in "Lord of the Rings" but J. R. R. Tolkien didn't like the idea, and wouldn't give his blessing to it. Paul would have played Frodo Baggins, Ringo would have played Sam Gamgee, John would have played Gollum, and George would have been Gandalf. 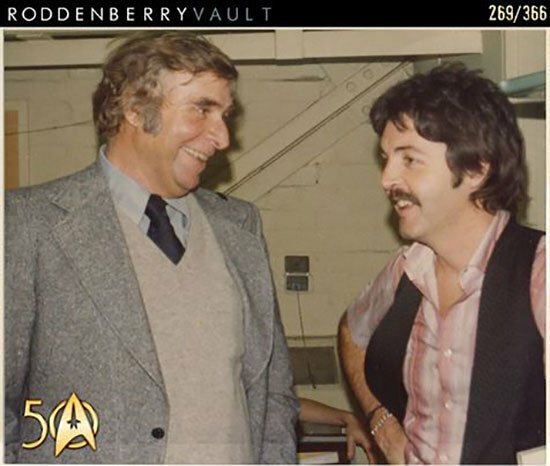 This is a photo of Paul with Gene Roddenberry, either before or after a concert appearance... exact date unknown.